Get selling on Walmart easily by importing your current product listings to SellerActive and building a catalog. Easily prepare multiple products for sale using our bundle upload template, and quickly combine multiple SKUs under one listing. When you’re ready to submit, SellerActive's Walmart Inventory Management Software helps you prepare listings for publication, and helps you fix upload errors that prevent you from going live. 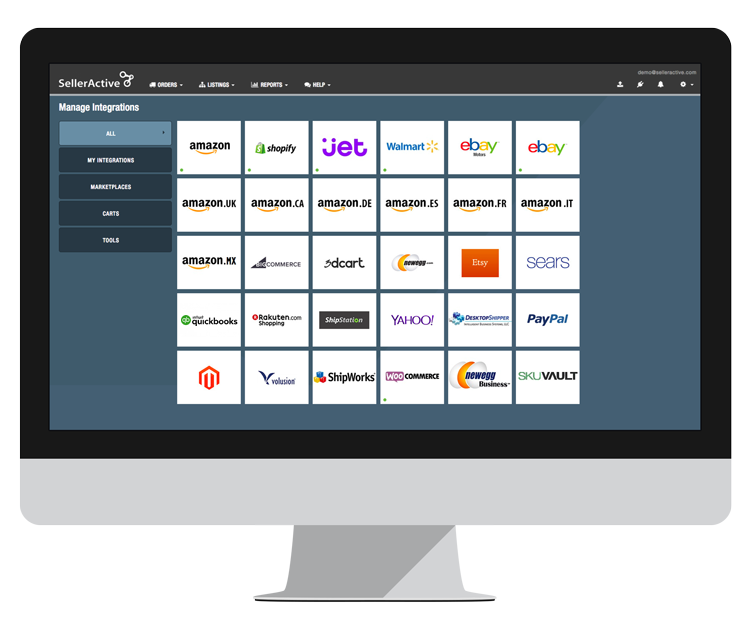 Leverage SellerActive’s powerful algorithmic repricing technology to help you capture the Walmart Buy Box, and use Price Mirroring to stay Walmart-compliant by adjusting prices on all sales channels. 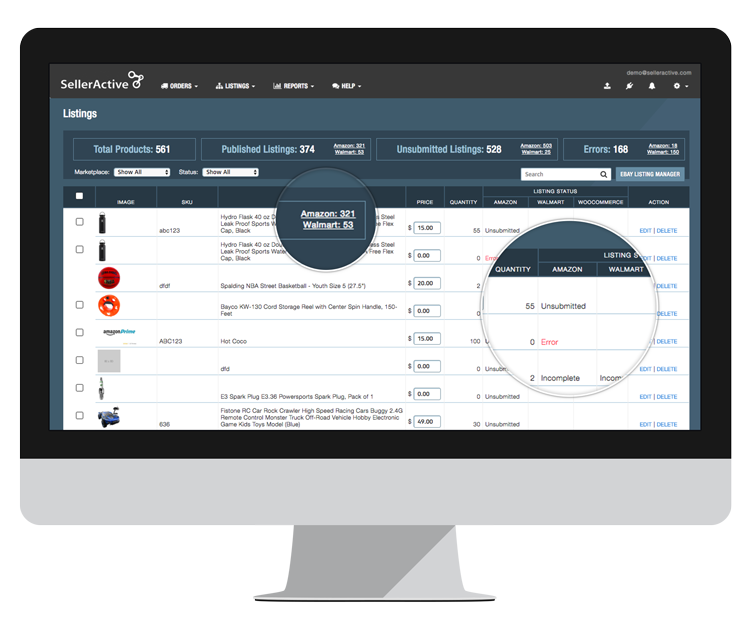 As soon as you make a sale or update your inventory on Walmart, SellerActive automatically coordinates product quantities on every channel you sell on, protecting you from overselling. When you’re ready to ship, SellerActive consolidates your orders into a single location for easy fulfilment. The world has become so fast paced that people don’t want to stand by reading a page of information, they would much rather look at a presentation and understand the message. SellerActive customers who expand to Walmart see an average of 22% revenue growth in the first 60 days. We couldn’t keep up with the demands of selling something on eBay, Amazon, and our website. Now, when I'm not here, SellerActive is still working. It's like having two extra employees whose full-time jobs are managing my inventory and pricing."